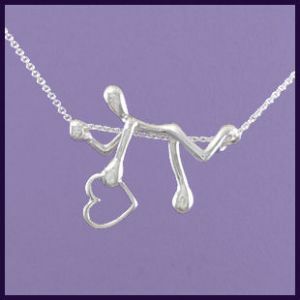 A Lover with a Heart is a wonderful and unusual solid Sterling Silver Pendant of a matchstick figure crawling accross the 925 Sterling Silver Chain with a Heart . The pendant is 31mm high, 39mm wide, 7mm deep and is 6.71g in weight. You can choose between different chain lengths.